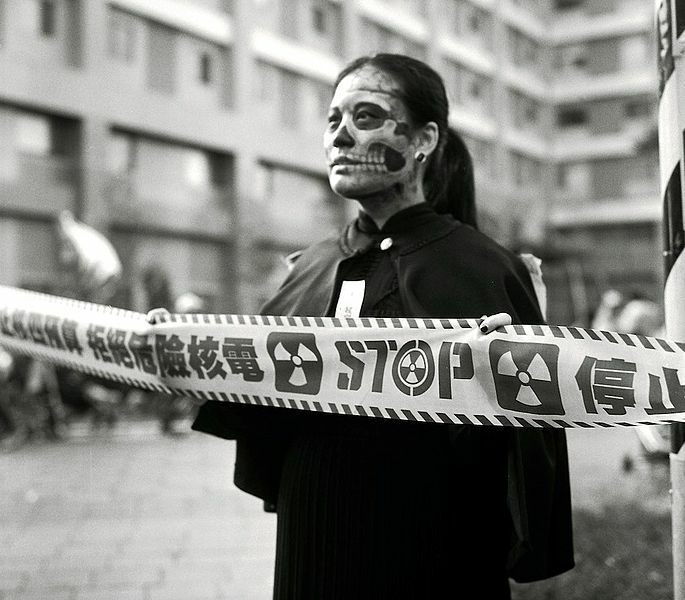 For several months, activists in Taiwan fighting to prevent the launch of operations at a nuclear plant they argue would be hazardous for public health and the natural environment. Alongside mobilizing public support and lobbying government officials, they are now facing a new challenge: pro-nuclear search engine ads. Over the last few days, searches run on Yahoo! Kimo for the names of various anti-nuclear activists have yielded links to Nuclear Safety, Taiwan Energy [zh], a website run by the Bureau of Energy and Ministry of Economic Affairs, as top “paid” search results. Yesterday, the Ministry of Economic Affairs admitted to Taiwan Apple Daily [zh] that the government had spent 100,000 Taiwanese Yuan (equivalent to USD3500) on search result advertisement for 92 keywords on Google and Yahoo! Kimo, the country's most popular search engine. Among the 92 keywords, 63 are related to nuclear energy and 29 are the names of individuals, many of whom are anti-nuclear activists. The website Nuclear Safety, Taiwan Energy presents scientific evidence aimed at convincing the public that nuclear energy is safe and the island's fourth nuclear plant meets international safety standards. Since early this year, activists have been ramping up their demonstrations in an effort to halt operations at the plant. Many Taiwanese are worried about the safety implications of the plant, particularly in the wake of the 2011 Fukushima nuclear disaster, in which a 9.0 magnitude earthquake resulted in a massive radioactive water leak, causing untold damage to the surrounding area. As Taiwan lies in a seismically active zone, earthquakes are common, and nuclear safety has become a priority concern ever since. With ample public support, environmental groups and anti-nuclear activists have been pressing the government to shut down the fourth nuclear plant which is scheduled to begin operating in 2015. The government wants to resolve the controversy with a referendum, but this is a somewhat empty promise: Taiwan's Referendum Act, which was was passed [zh] in November 2003, requires 50 percent of voters to participate in the referendum, or else the referendum proposal will be rejected. In the last ten years, six national referendums have been proposed, but none were passed. Government interference with Internet search ads will likely have an impact on the upcoming referendum. 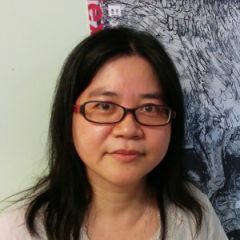 Liu Li'er (劉黎兒), one of the anti-nuclear activists who was affected by the government's political advertisement issued a public statement [zh] on August 13 via Facebook condemning the Ministry of Economic Affairs for using “brainwashing” tactics and demanding the Legislative body investigate the use of taxpayers’ money to generate political propaganda. She also urged portal websites to uphold their corporate social responsibility and reject government-sponsored ads promoting the benefits of nuclear energy. Soon after the news was exposed, the names of individual activists stopped yielding the ads on Yahoo! Kimo. The company stated [zh] that it did this due to concerns about the rights and interests of those involved. 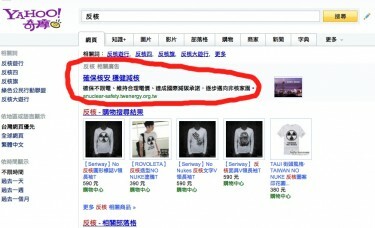 However, when people search the term “anti-nuclear”, the top search promotion ads are still linked to the same government-run pro-nuclear energy development site.